Bloom is the showrunner for Netflix's next original series from India, Selection Day, which is based on Indo-Australian author Aravind Adiga's 2016 novel of the same name and will be out December 28 worldwide. Technically speaking though, it's an Anglo-Indian creation, given Bloom's involvement alongside production houses, Anil Kapoor Film Company and London-based Seven Stories. He doesn't speak Hinglish — a portmanteau of Hindi and English — himself, which meant Bloom's English dialogues had to be translated into the language(s) that made sense for the characters. 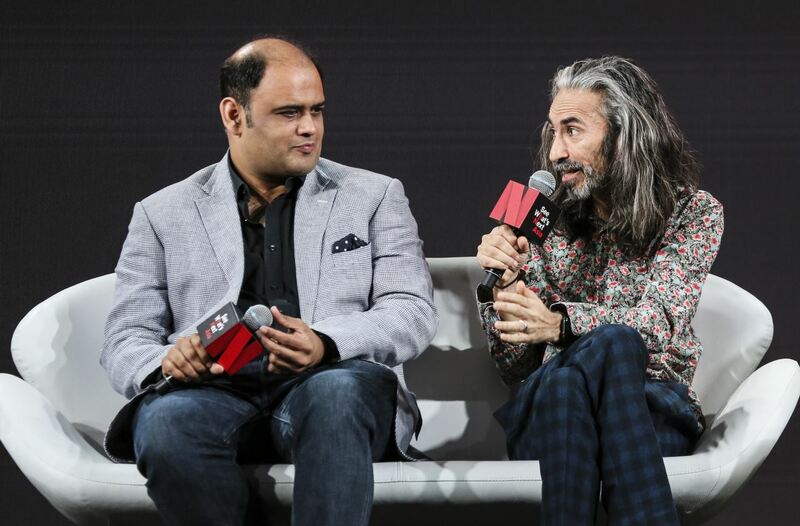 Udayan Bhat, an executive producer for AKFC, revealed they would have long phone calls, trying to find “the closest interpretation” in Marathi or Hindi. The amount of English used today by Indians, and the quickly changing landscape of Mumbai, came as major culture shocks for Selection Day's Indian-born British director Udayan Prasad, who left India at the age of nine. He cited the northern suburb of Andheri as an example, which he couldn't recognise from when he last saw it. “In Delhi, I was walking around Lodhi Gardens, thinking there's something really wrong here,” Prasad said. “People were picnicking, I was in Delhi, [and] everyone's talking [in] English. What the hell is going on?” His surprise would likely register as a shrug for most Indians, more so given Prasad is referring to one of the most upscale places in the central part of India's capital city. And in the years India has changed linguistically and geographically, there's been a corresponding shift in ideologies and values as well. Selection Day is a coming-of-age story of two teenage brothers Radha (Yash Dholye) and Manju Kumar (Mohammad Samad) — with a bigger focus on the latter — who have been raised by their strict, obsessive father (Rajesh Tailang) to be star cricket players. Manju is more interested in the sciences, but he doesn't have much of a say. Adiga's book also explores Manju's discovery of his sexuality, which involves a boy named Javed Ansari (Karanvir Malhotra), who is his complete opposite in most respects. He is a Muslim who comes from a rich family that has taught him to be independent and given him freedom to choose what he wants. Manju's attraction to Javed makes him a rare, LGBTQ protagonist in Indian film and TV circles, where proper representation is still hard to come by. Bloom and Tucker said they both have teenage sons who are currently navigating some of those same things. Tucker noted that they didn't want the LGBTQ focus to “become the thing” Selection Day would be known for, and Bloom cited the example of how female-written content tends to be shelved as “a women's story”. “I don't think we wanted them to put our programme in [a box and] say, this is what it is, because it's many things,” Bloom added. It almost sounds like the Selection Day creators have downplayed the book's LGBTQ angle, though we won't know for sure until its release later in December. Bloom also said that “whichever way Manju is veering is a really interesting place to go in subsequent seasons”. Speaking of the future, Tucker revealed that the first season of Selection Day covers the whole of Adiga's book, except the last chapter that is set a decade ahead. “We already know where the world of season 2 is, where we are going to pick up Manju & Co. in a few months' time,” he added. Disclosure: Netflix sponsored the correspondent's travel and accommodation for the event in Singapore.